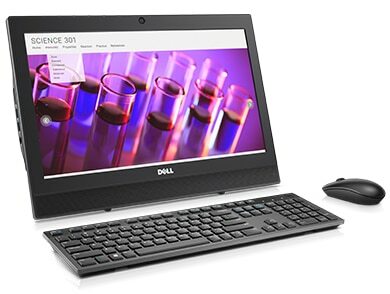 To find a desktop on Dell’s website, visit Dell here. This machine is small, but very powerful. The price ranges considerably, from just over $600 to nearly $2,000 depending on how you want it customized. There are many specs to choose from and configure it with. The Dell Precision 3630 is essentially a professional workstation in the form of a “squat package”, which consumes only a small amount of space. There are several slots for hard drives, which allows plenty of room for storage. 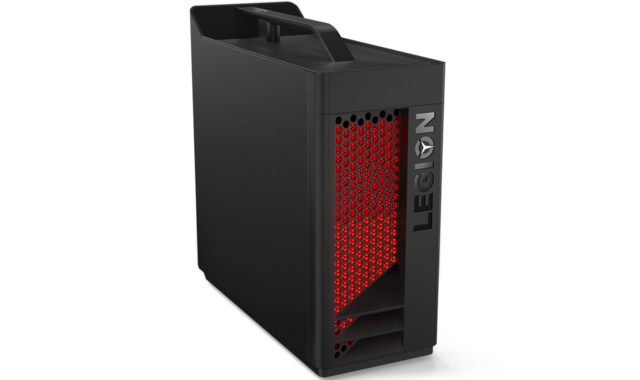 The scalable storage setup features SAS, SATA, and even PCIe NVMe SSDs – all up to 14TB worth of storage space. Many of the commonly accessed items are very easy to reach and replace, thanks to no-tool components. Need a VR-ready workstation in your office? No problem – the 3630 can be configured with the right hardware and software to help you with your VR needs. Your processor options range from Intel Core i3 (four-core) / 3.6-GHz / 6MB cache up to Intel Xeon E-series six-core HT / 3.8-GHz / 12MB cache. Turbo Boost technology enhances speed and performance considerably. 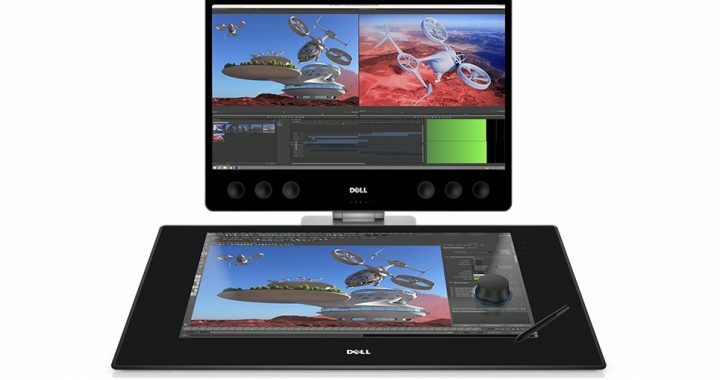 All of the processors come with UHD graphics 360.Speaking of graphics, configure the Dell Precision 3630 with next-generation NVIDIA Quadpro or AMD Radeon Pro, and get up to 225W of graphics support for your VR needs. The base configuration consists of 4GB of non-ECC memory (DDR4 2666-MHz). This can obviously be upgraded a great deal. You can essentially get all of the memory you’ll ever need for years to come. Intel Optane memory is worth investing in as it massively boosts your computer’s responsiveness no matter what you are doing or how many programs you want to run. You might get the option to decide which PCIe I/O card you want: Thunderbolt 3 (two Type-C ports and 1 DP in) or USB 3.1 10 Gb/s Type-C / PCIe card FH (two-ports). There are already several ports located on the back of the desktop, including several USB 3.1 Type-A ports, 2 USB 2.0 ports, 2 DisplayPort connectors, and so forth. The 3630 should be able to support up to 4 4K monitors simultaneously. Premium materials are used in the construction of the tower. There is an option for an external dust filter that you really might want to consider as it provides the internal components with even more protection and keeps them pristine. Additional features that help make the Dell Precision 3630 superior are Dell Reliable Memory Technology, which protects works and projects from potential crashes, and Independent Software Vendor certification. The cost is a concern for some users, but it doesn’t have to be. 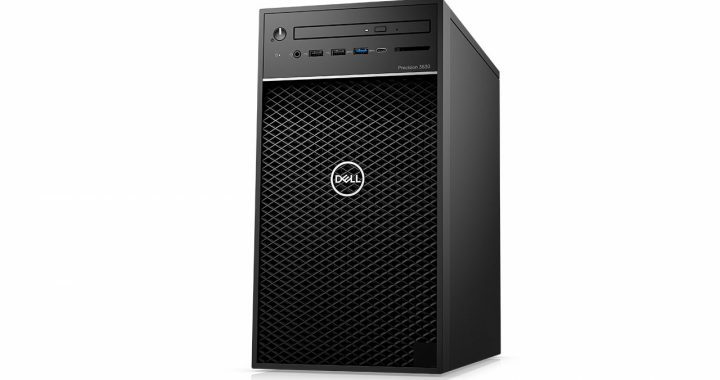 You can configure it with all of the features and components you need without having to worry about price, thanks to Dell Precision 3630 promo codes, which can be used at the Dell Discount store. Not every PC in the Vostro lineup is a laptop. There are plenty of nice Dell Vostro desktop computers as well. You can easily turn an office into a model of productivity and efficiency with one of these machines, as they come with functionality, connectivity, and impressive specs. They also have room for a DVD + / – R/RW drive, unlike their notebook counterparts. While some would say that DVD drives are becoming obsolete, there are still many businesses that rely on them. Another great thing about the Vostro desktops is that they’re not all large, bulky towers. There are some small form factors that take up much less space, yet can still perform just as efficiently as their larger counterparts. The Vostro 3000 Mini, for instance, takes up 45% LESS space than a large tower, without any reduction in performance whatsoever. If you DO have room for a standard tower, you’ll find that they are highly expandable. You can easily add extra memory and hard drives to a regular Dell Vostro desktop. These are ideal for small to medium sized businesses and come with an array of storage and graphics options. All of the desktops in the Vostro line, regardless of size, can run any OS from Windows 7 Home Premium and Professional up to Windows 10 Pro. If your business would prefer Ubuntu, you can select that option when customizing your order. The type of processor you can expect depends on which Vostro generation you order. The fourth generation desktops, such as the 460 mini tower, use Sandy Bridge Intel Core i5 or i7 processors. The 470 mini tower (5th gen.) come with Ivy Bridge CPU options. With the 6th Gen. desktops like the Vostro 3900, there are powerful Haswell processors. Since these desktops are intended for business use, they come with essential security tools such as TPM 2.0. Some models offer Bitlocker, which utilizes a multi-factor authentication solution and system lockdown should the appropriate identification number not be used. There is a security cable slot included with these desktops, although the cable itself is usually sold separately. If you decide not to purchase the recommended monitors for the desktop you order, you can still connect it to your existing monitor via HDMI or VGA. The tower will feature all of the USB ports and Wi-Fi technology you need as well. Whichever Dell Vostro Desktop you buy, you’ll be glad to know that you can save money by using Dell discounts, promo codes, and other special offers. There are always ways to save. A variety of financing and payment plans are usually available. The best thing to do right now is to read Dell Vostro desktop reviews and decide which one will be best for you and your business. Once again, you’ll want to use Dell coupon codes to help you save. 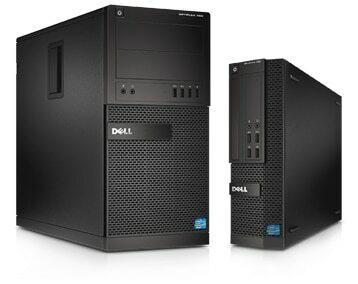 Dell computers come in all sizes, configurations, and price ranges. The company has been around for decades and is still one of the leading names in the IT industry. If you’re after a new desktop, it’s important that you have an idea of what kind of configuration you need to meet your needs. 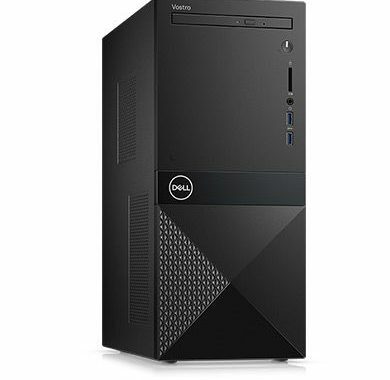 There are always some Dell desktop deals available online, so it’s very easy to save once you have an idea of which PC you want. Whether you want an all-in-one, gaming powerhouse, business desktop, or budget PC, it’s all available with Dell. You can choose between a pre-configured desktop (of which there are many) or customize your own with the components you need. The Inspiron line features desktops that are ideal for the home and office. You can opt for a standard tower or an all-in-one. The all-in-one Inspiron computers come with 22-inch, 24-inch, and 27-inch displays. If you want a gaming computer, the Inspiron gaming desktops range from entry-level to VR-Ready powerhouses. XPS desktop PCs are designed to be the best. They are exceptionally built out of unique materials. Dell often advertises the XPS computers as “high-end”. They’re not the lowest priced desktop computers, but they do offer a lot of value for your money, and are definitely worth investing in – especially if you want a computer that will last for a long time. Many consumers are looking for Dell desktop deals on the Alienware series. Out of all of the bright, attractive gaming PCs on the market, none are as recognizable as the Dell Alienware computers. The towers have always been designed in unique shapes, and feature eye-catching bright LED lights. You can often find special promotional offers and coupons to help you save either on a specific Alienware model or accessories. Sometimes there are even “Mystery Deals” on these Dell products. The OptiPlex line has been around for 25+ years. These desktops have always been created to adapt to how you work. Some of the newer features of these business computers include space-saving form factor designs, 8th Gen. Intel processors, and optional 4K Ultra HD displays (all-in-ones). If you’re looking for a desktop that is truly designed for small business and productivity, with dependability and enhanced security, consider the Vostro line. These machines undergo industry-leading testing and come equipped with all of the security features small businesses need. There are Dell desktop deals for everyone, including military personnel, educators, businesses, and the average consumer who simply wants a new home PC. 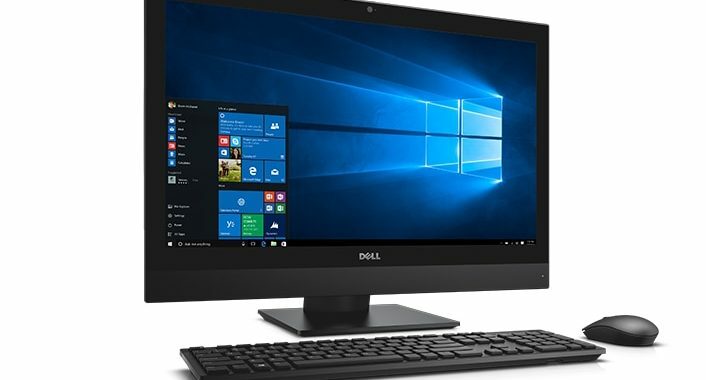 When looking over Dell desktop deals, you’ll come across everything from gaming PC coupons to all-in-one discount codes. Just search the online store for the type of desktop you want and customise it with the hardware, software, and accessories you need. This is a very fast computer – especially if you customize it with at least 16GB of RAM. The Xeon CPU processor is great, and the system offers stability. Whether you need it for your home office or place of business, you’ll find that the Dell PowerEdge T30 can be a versatile machine and server. A lot of performance goes into the mini-tower chassis. In addition to the RAM, you can customize the storage and other hardware. A lot of experts recommend the T30 as an affordable, entry-level server with its Xeon processor and ability to run different operating systems. Expect fast performance regardless of whether you install Windows 10 Pro, Ubuntu, or any other OS. It’s secure and manageable. You don’t even need an IT staff to help you keep everything up and running This PowerEdge machine makes it easy to save and secure your data and important files with software RAID and optional backup restoration solutions. There is enough room for tons of memory thanks to the four DDR4 DIMMS. With all that memory, your application response times will be enhanced considerably. There are also multiple internal hard drive bays to support a lot of storage. You won’t ever have to worry about running out of room to save your data and important files and programs. 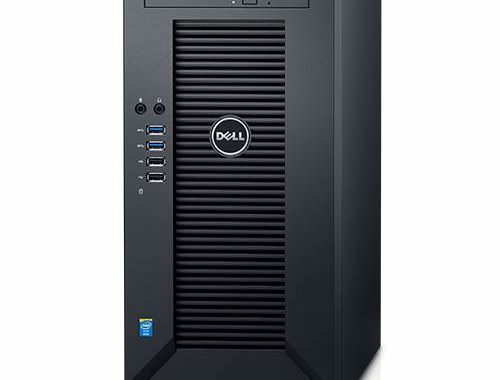 The compact design allows for the Dell PowerEdge T30 to be installed in any room. The low acoustics means that it will operate quietly and you won’t have to worry about noisy performance. Attach additional devices with the ten external USB ports, six of which are USB 3.0. There are four PCI / PCe slots as well. Connect the server tower up to a display with the HDMI port. The Intel Xeon E3 display has an 8M cache and four-cores. With Turbo, it can reach up to 3.3-Ghz or 80W. Get at least 8GB of UDIMM memory, even though there is room for plenty of more. In addition to the four hard drives, there is an internal DVD +/- SATA drive. A 125V (US) power cord comes included with the starting price. Consolidate all of your company’s images, videos, data, and other files stored on multiple locations in a central location via this server. Think of how much space you can save on other devices. It’s really worth investing in some of the many services, plans, and subscriptions that are available with the Dell PowerEdge T30, such as ProEmploy, ProSupport Enterprise Suite, ProSupport for Microsoft Applications, or Remote Consulting Services. 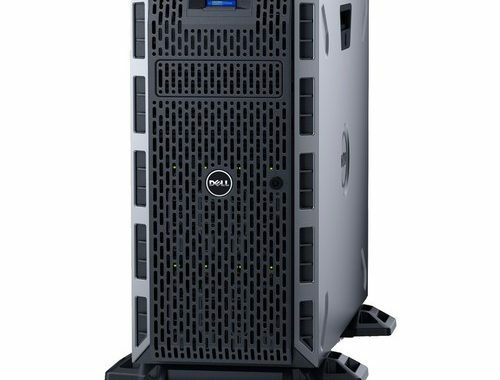 There are a lot of positive Dell PowerEdge T30 reviews from small business owners who find this to be an excellent entry-level server. No matter what kind of business you need it for, you can shop online and use Dell promo codes to save money. Those looking for an affordable desktop computer for either entertainment or office use might want to consider an all-in-one such as the new Dell OptiPlex 7760. The 27-inch display is very sleek and comes as a multi-point touchscreen (optional), which allows users to interact with the work via touch. Even though it’s listed under the “work” category, this machine can still be used in the home as a personal computer as well. There are two stands available: a height adjustable stand and articulating stand. The latter is a good choice for those who want the ability to tilt the display backward, forward, or at a 60-degree angle. It works best with touchscreen displays. The height adjustable stand is best for mouse and keyboard users. The 4K ultra HD display is definitely worth considering. An optional targus stylus with a durable rubber tip can be used to deliver enhanced accuracy without causing any scratches. The internal audio system is overhauled with this new OptiPlex all-in-one machine. There are a total of six separate speakers, two of which are tweeters and four woofers, in addition to a pair of passive radiators. There is a quad-array of microphones that can be heard from 12 feet away. Waves MaxxAudio Pro delivers enhanced audio and noise reduction through the speakers. There is an option for dedicated NVIDIA GeForce GtX 4GB (1050) graphics. There are two M.2 connectors, one for a solid state drive and one for a Wi-Fi card. Inside the box is the computer itself (the 27-inch display is a bit heavy), the power cable, wireless keyboard and batteries, and wireless mouse and USB driver. A stand and stylus can be ordered separately. The starting weight and dimensions are the same, regardless of whether a touch display or 4K ultra HD non-touch display is selected. The 7760 weighs 18.54-lbs. Its dimensions in inches are 15.31 x 24.17 x 2.28 (HxWxD). There are many all-in-one computers on the market these days, some of which are best for entertainment and some for office use. The Dell OptiPlex 7760 is versatile enough to satisfy most types of users. It’s also an affordable alternative to a workstation. 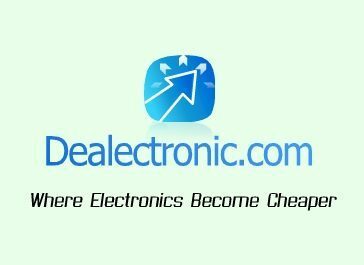 You can really get this all-in-one at an affordable price – even with the touchscreen option – by using Dell OptiPlex 7760 coupon codes. Dell discounts are common and can sometimes save you a lot of money on not only the computers themselves, but for accessories and software as well.